When I say I thought I did the review, I mean it in the sense that I've already eaten five of these sandwiches and thought I put some thoughts down during that time. See, I didn't inhale them like the sweet cream ones, but that's just how I roll. I just don't crave minty things in general, so I paced these out a lot more and just had them when the mood struck. 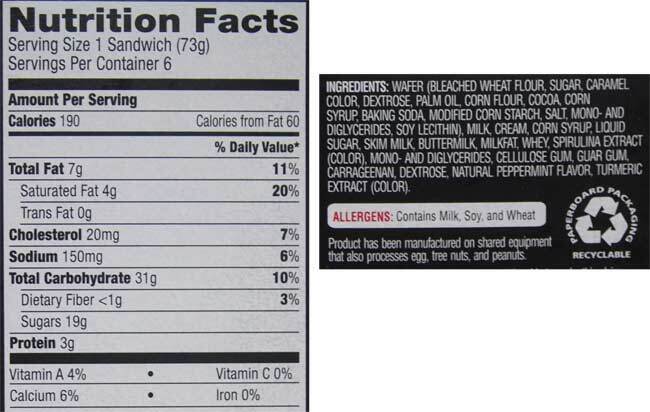 These are not crazy potent sandwiches. It's as simple as that. 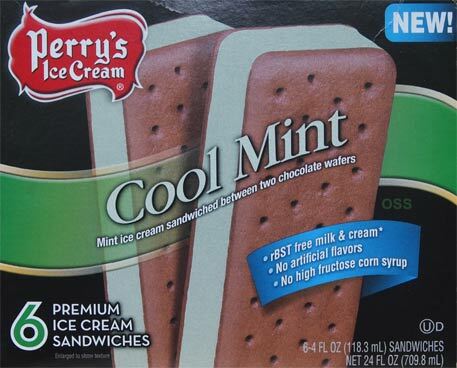 As you can see, the mint filling is very light in color. There's no reason that it needs to be super green, but it's not just my photography skills throwing this picture off. Ok, to be fair, I'm going to eat the last one right now as I finish this post. Yup, still tasty. Traditional chocolate wafers with a nice mint filling. 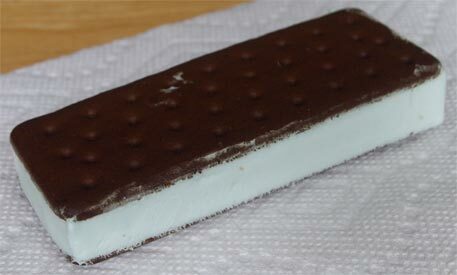 Filling is fairly soft as you might expect from a mainstream ice cream sandwich. It has a bit of a mint cooling factor to it. No buttermint factor of note.